So is Conti ahead of Calabria officially in the depth chart? Also curious how Baka and Biglia occupy a midfield together. Let's get 3 points and a clean sheet. Duncan was suspended, great news to us. 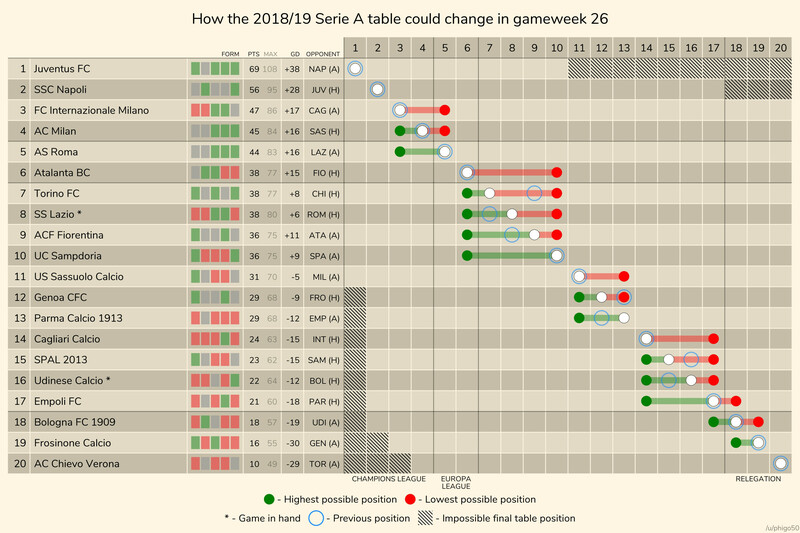 I saw this table from another forum, and thought this is a really nice table. 60th min.. Cagliari Leading Inter 2-1.. if we win tmrw.. we could jump to 3rd.. if Juve beat Napoli, we can even realistically aim for 2nd LoL..! I wonder if Conti can play in Suso's position.